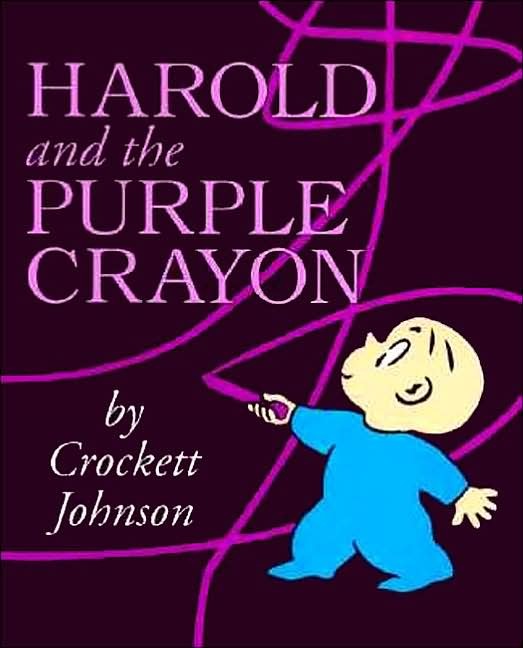 Written in 1955 by Crockett Johnson, Harold and the Purple Crayon is sure to bring to mind your own childhood reading days. 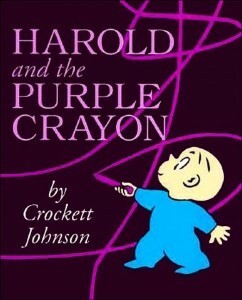 Children of the 70s, how often did you sit at the knee of your school librarian as she shared this marvelous story of Harold, a boy who could create entire worlds and change course with one flick of his purple crayon? I read this book to my children this evening before bed, and their delight with clever Harold was evident. This is a book I can get behind because it celebrates unadulterated imagination in children. Absolutely anything can happen if you just let go. I hope you’ll read Harold and the Purple Crayon with your children and encourage them to unleash their own creativity in whatever form best suits them. Only good can come of that. Imagination truly is the driving force behind invention. Let it begin today.